eduroam (education roaming) is the secure, world-wide roaming access service developed for the international research and education community. 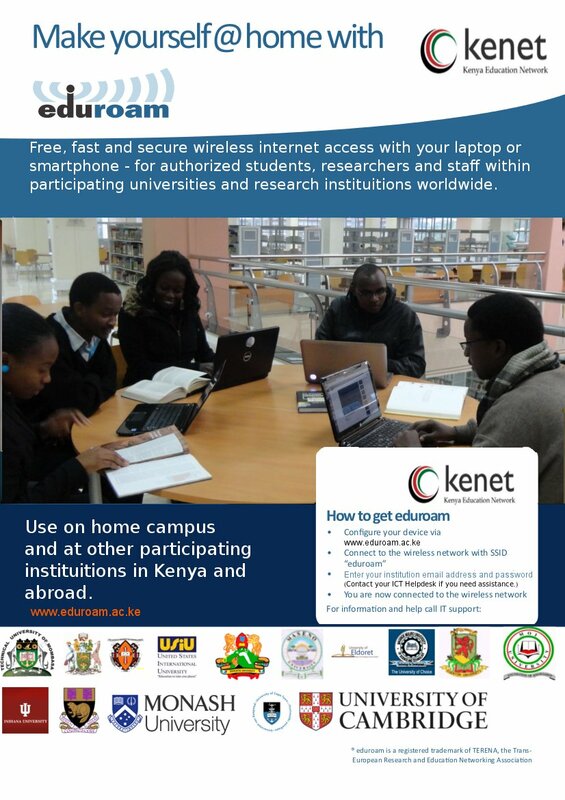 eduroam allows students, researchers and staff from participating institutions to obtain Internet connectivity across campus and when visiting other participating institutions by simply opening their laptop. This page was last modified on 16 September 2013, at 12:18.